Paris: Leander Paes will continue his partnership with American Scott Lipksy at the French Open and they were on Sunday drawn to play Marcos Baghdatis and Giles Muller in their first round match. 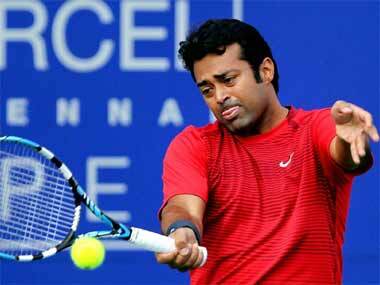 Paes and Lipksy have played four tournaments together coming into the clay court Grand Slam. Last week, they reached the semi-finals of ATP 250 Geneva Open, and they also won the Tallahassee Challenger and made the last-four of the Bordeaux Challenger. If they win their first round match, they may run into the top seeded pair of Henri Kontinen and John Peers. Another Indian pair in the fray, Divij Sharan and Purav Raja are up against Nicolas Almagro from Spain and Steve Johnson from the USA. "We have not played them before. Purav and I have been training in Paris for the last four days. We are well settled and playing good," Sharan, the southpaw from Delhi, told PTI. Sharan and Raja enjoyed a great start to the season, making the final of the Chennai Open and then made two semi-finals on the ATP World Tour, apart from winning the Bordeaux Challenger title two weeks back. "It has been a good season so far, if not spectacular. We had some good results. We are playing more ATP250s now. It makes a difference when you have a steady partner. We have been working on our game. 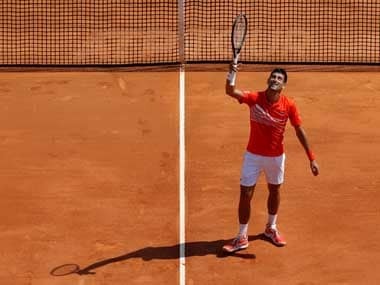 There is better understanding of ourselves and our strengths and it's showing in our matches," the world number 55 said. "It's just a matter of time before it starts showing results (at big stage)," he added. In the bottom-half of the men's doubles draw is Rohan Bopanna, the highest-ranked Indian and his partner Pablo Cuevas. They have been seeded ninth and pitted against the French pair of Mathias Bourgue and Pauk-Henri Mathieu. In the women's doubles, Sania Mirza and Yaroslava Shvedova are seeded fourth. They will open their campaign against Daria Gavrilova and Anastasia Pavlyuchenkova.